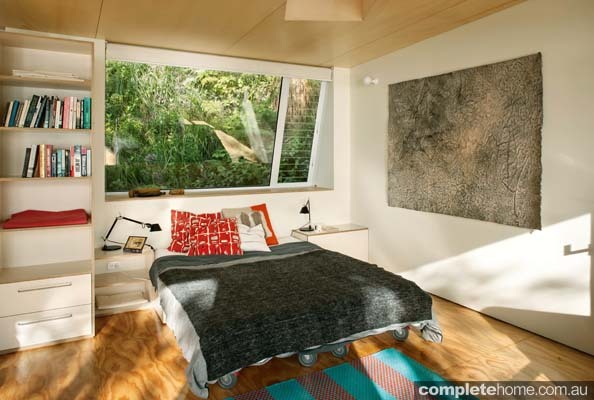 This compact design is a single-roomed box that has the appearance of hovering, bird-like, in the trees due to its open boat storage underneath. 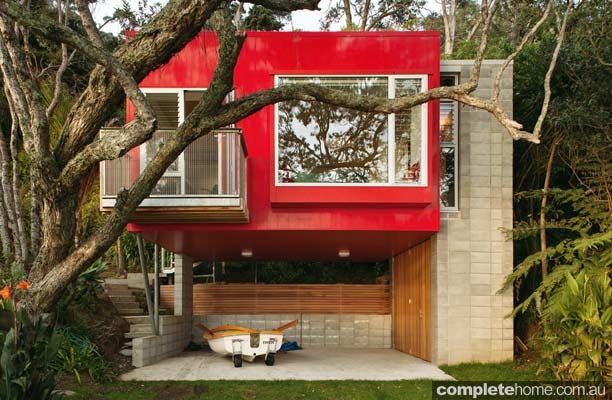 Matching the vivid crimson red colour of the pohutukawa tree that surrounds it, this nestled house makes a colourful statement in a hue reminiscent of the original baches that lined this beach. 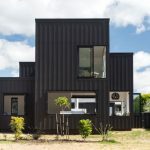 “There are a number of traditional kiwi baches along the beach, many of which used to be brightly coloured … we wanted to begin a reversal of this trend, which pleasingly has started to happen,” says architect and homeowner Pete Bossley. 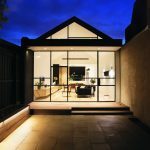 Built over a six-month period alongside the existing yellow bach, this lofty new house provides an extra bathroom and large room that acts as a combined work space, bedroom and rumpus room. 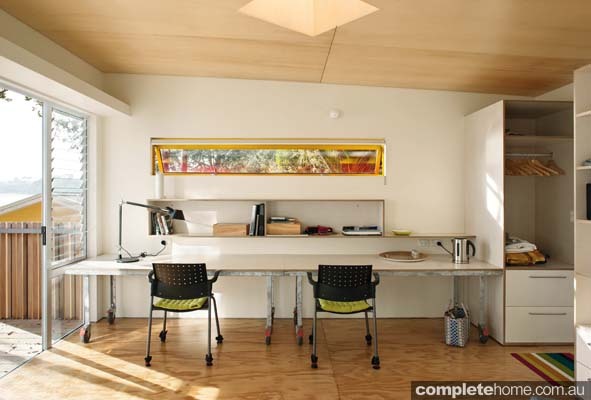 Underneath is an open space for a boat or car, as well as space for storage or an additional workshop. Clever, purpose-built furniture on wheels inside the main room transforms the bed into an L-shaped sofa and two large benches, also on wheels, can be located against walls as a desk or in the centre of the room for extended work or painting sessions, explains Pete. 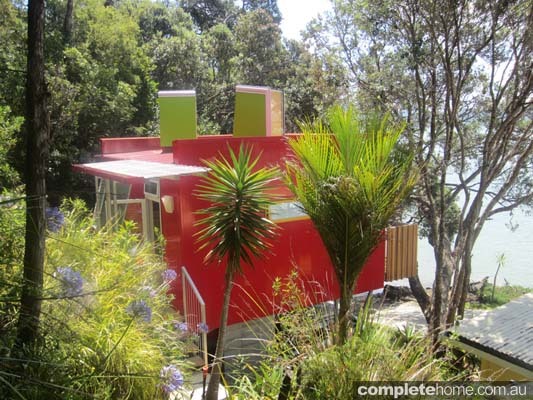 The build itself was tricky, with owner/architect Pete taking the project on in his virtually non-existent spare time. The site parameters were also very tight. 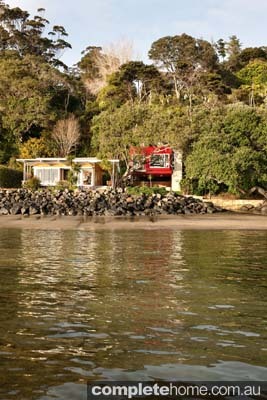 “There is a cliff to the south, sea to the north, a boundary close to the west, existing bach to the east, pohutukawa trees around and above, soggy ground conditions, sometimes an aggressive sea environment and town planning rules that prevented building there at all — and requiring ‘natural’ brown or green colours!” says Pete. 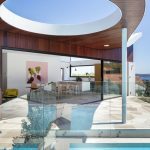 Colour, too, is a typical and significant element of Bossley Architects’ designs, the dedication to which is immediately apparent in this compact holiday home. Pete says they were influenced by the reds of the trees and also by a treasured comment from a passerby who said she loved the yellow bach and that it reminded her of a boiled lolly. This new boiled lolly took on that idea, this time in red and white, with a pared-back interior colour scheme of white and a ply floor and ceiling. 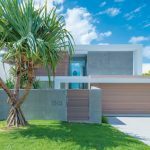 The bach has been designed to rely primarily on passive ventilation and with more than enough shade provided from the surrounding trees, there was no need for overhanging roofs. Light is still able to filter through the foliage and provide light inside, though. “Unique bright-green ‘lightstalks’ project through the roof to introduce morning and evening light,” he says. 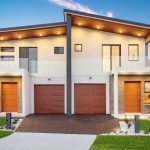 Wool batts have been utilised to heavily insulate the floor, walls and roof and the weatherboard cladding of the exterior is pre-coated aluminium to ensure a longevity that will minimise the need for ongoing painting and maintenance. 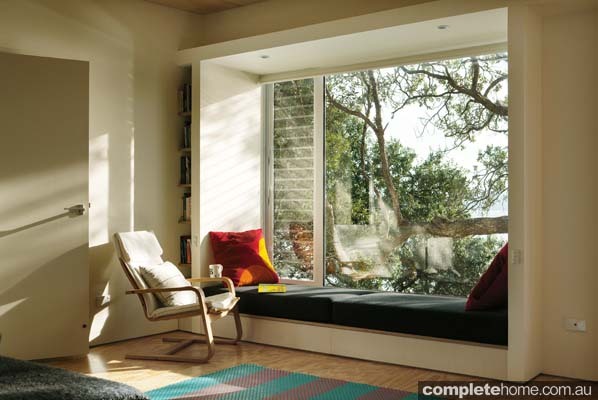 The compact design has received a number of awards, including the 2014 NZIA National Small Project Award. “The encampment-style occupation of the site … is a further reference to the relaxed disposition of the vernacular bach. Delightful in itself, the red box is a sophisticated response to the context and typological precedent: in the nicest possible and most appropriate way, it may be described as ‘awkwardly perfect’,” reads the award citation. 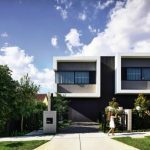 In what is a wonderful intention for its projects, Bossley Architects aims for “architecture that lifts the spirit”. 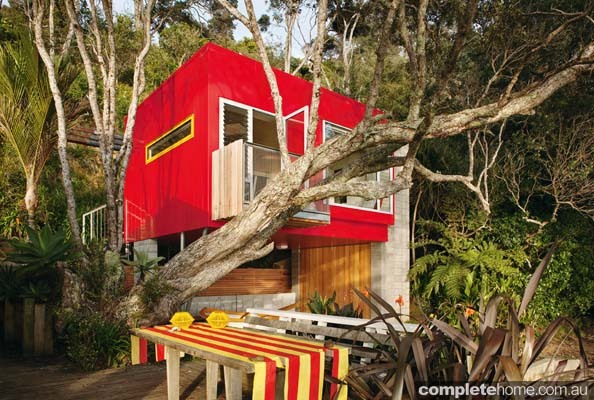 And with a Crimson Red tree house by the beach that allows for comfortable family holidays, that is exactly what this exciting small project has achieved.